I am so happy to introduce the Wonderland Landscape Creator! 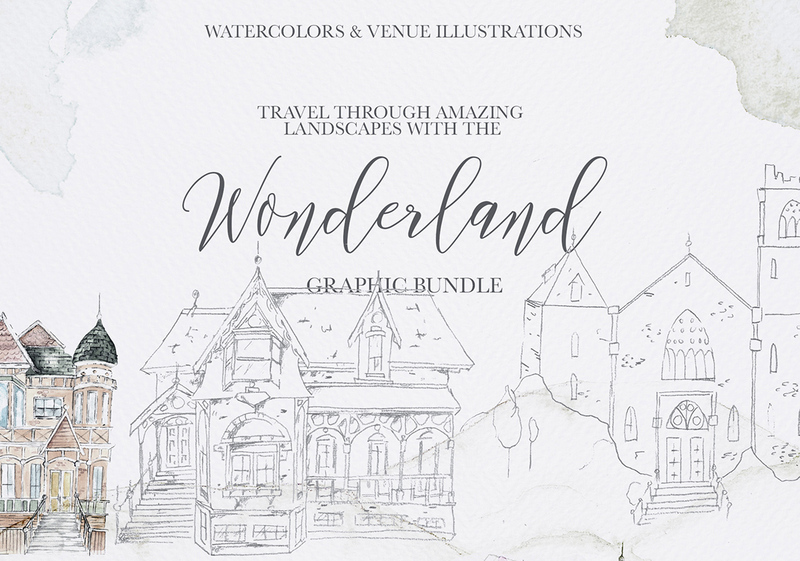 Welcome to a vibrant mixture of subtle watercolor paintings and authentic pencil drawings that enable you to easily create gorgeous, handcrafted landscapes and travel-themed cards for your wedding, prints and more! Travel through watercolor landscapes with this dreamy collection of earthy and subtle, washed-out watercolor landscapes and elegant facades. Combine vibrant backgrounds, atmospheric landscapes, and beautiful houses, then add delicate floral drawings for an amazingly handcrafted look and feel. 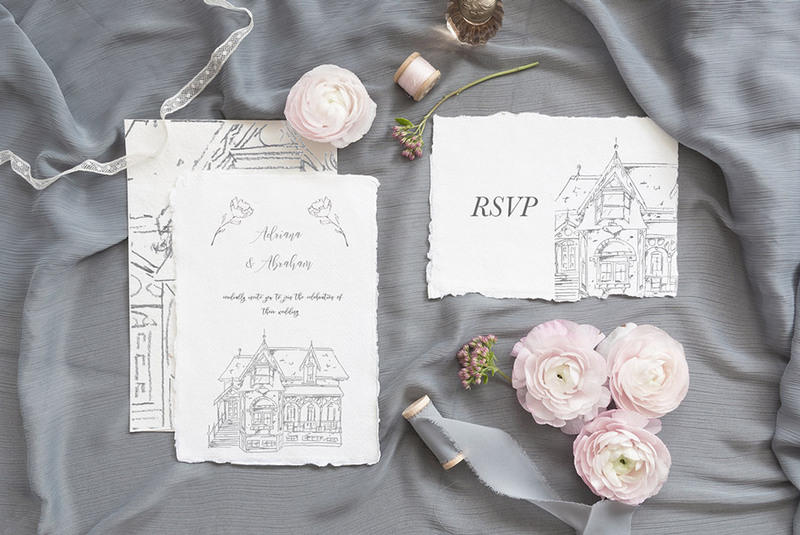 The mix of deep watercolors and subtle pencil strokes is sure to catch the eye and give your wedding invites, cards or branding a special custom and artisan look. The set comes with subtle watercolor paintings of landscapes in 5 different themes (see preview images above), along with pencil drawings of facades and flowers. All houses/facades and floral drawings also come as high- quality vector files (.Ai & .EPS) to complete your professional brand and project. • Bonus: 25 Christmas doodles to easily complete your Christmas cards & wishes! I wish you so much fun creating your wondrous landscapes! Software compatibility: Adobe Photoshop CS3 and Illustrator CS3 or newer. .EPS files will work with a variety of programs such as Adobe Photoshop or Illustrator, Sketch, InkScape, Affinity, Corel Draw, etc. .JPG and .PNG files will work with most graphic software. File size is approx 567.3 MB (4.05 GB unzipped), offered as a two part download.